Trying to blog via my phone, for once, instead of my old computer. I hope your week started on a good note. Not such a fun thing tomorrow for my youngest who’ll get braces on ... poor thing. Hello everyone ! Time’s flying by … but here I am today for showing you what I’ve done this past week : a new ornament ! I loved working on this one, and think there will be other versions in different colorways. I love the monochromatic embroidery, it makes me think of redwork, but in a new kind of way … Do you like it too ? The linen on the front was dyed with Punica granatum (pomegranate) & iron, the cotton on the back is actually a Laura Ashley print that I overdyed with Arbutus unedo (strawberry tree) & iron, and the silk thread I used for the embroidery was dyed with Helichrysum stoechas (immortelle). The loop is made of linen cord, and the stuffing is organic cotton stuffing. I hope you like it as much as I loved working on it … You can find it ★ here ★ in the shop, thank you ! Wishing you all a lovely weekend ! Thank you for your visit, and for your support ! Emilie ... and all the girls ! It is this time of year when you crave warmer & more flowery days … When you long for laundry on the line drying in the warm air, sunny afternoons in the garden, but it’s just not the moment yet. 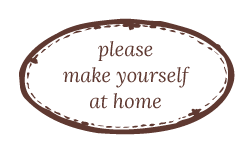 So you declutter, clean & organise your home instead, and dream of warmer days. (but not too warm, eh !, wink wink, you know me now !) That’s when lavender sachets come in handy ! They keep your cupboard & linen fresh and smelling like summer ! I just made new lavender sachets, with natural linen for one side, and with thrifted floral (vintage) cotton on the other ! They instantly go well together ! Flowers & linen, so delightfully summery ! I included a linen cord so that they can be hung outside a cupbord (or chest of drawers), or on the wall at a nail, or at a clothes-hanger. Many possibilities ! Crunch it a little bit & summer vibes will flood your mind ! 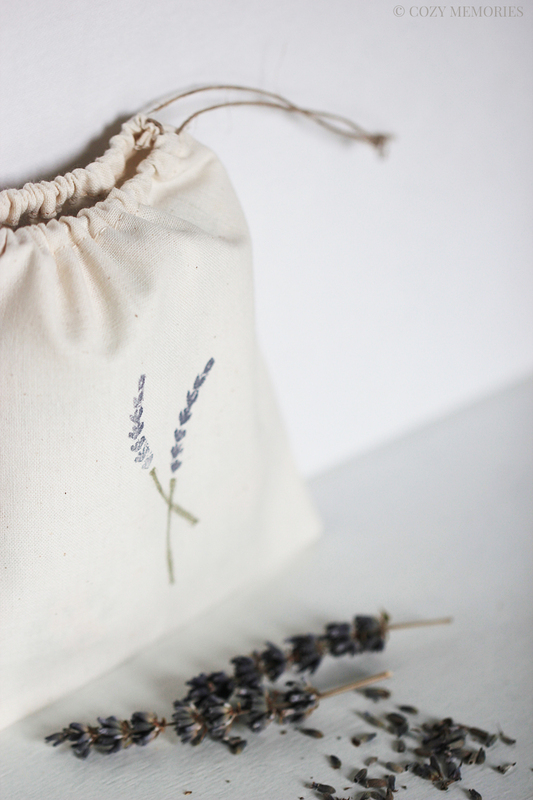 All the lavender sachets made & sold in the shop, are wrapped in a handmade, handstamped drawstring pouch like this one below. Isn’t it lovely ?! Now, about all the girls … What do I mean ? Well, I’m talking about the feminine names I’ve been giving to my recent creations made with thrifted vintage floral cottons. They might look a bit kitschy stacked like that, but they all have potiental, and anyway, we’re not supposed to like the same kind of prints, are we ? These are a minuscule part of my collection, actually. Why giving them feminine names ? Well, I suppose I’m imagining the ladies that once took care of these textiles. Because obviously they were well taken care of, they show little signs of age, and they were made when textile quality was actually better than it often is these days. They were sturdy cottons & most of the textiles I’ve been thrifting were made in France, which is practically impossible to find nowadays. Therefore I have in mind French names for ladies. 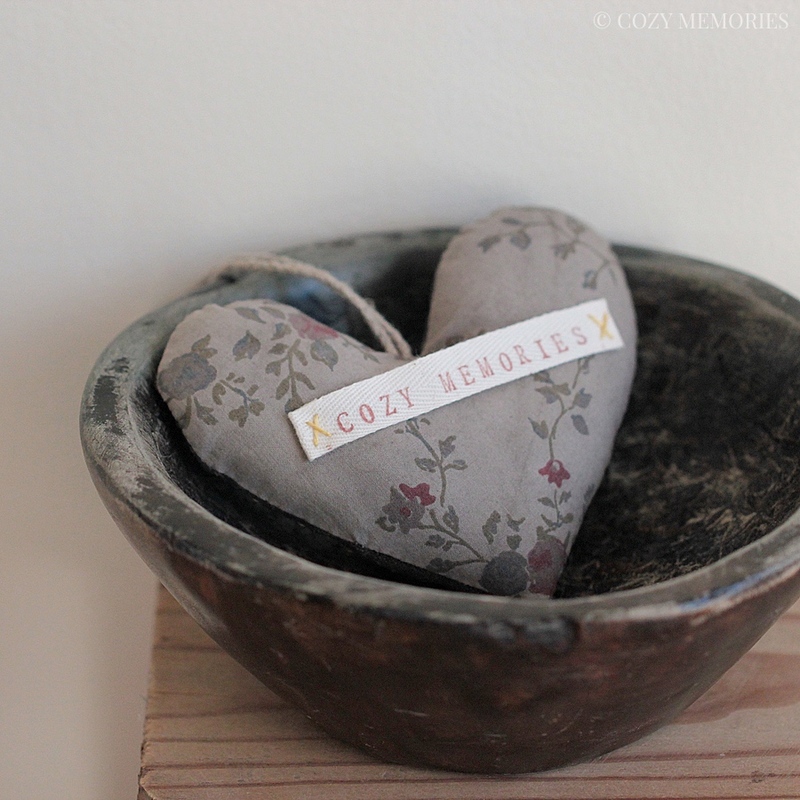 And I associate them with one particular floral print, so that whatever the type of creation (lavender sachets, pincushion etc) you will instantly recognize the print & its name. Louise, Emilie … more will come obviously ! My goal is to give these textiles a well deserved second life, and to share with you their timeless beauty ! I hope you love them too ! Do you enjoy vintage textiles as well ?